At the start of every year, I am always excited and impressed by the growing choice of cruises on offer. Over the past quarter century, travelling on cruise ships has evolved almost out of all recognition from the journeys our parents and grandparents knew. Today’s vessels are packed with amenities that could only have been dreamt of in the past. As lines have pushed the boundaries of design to ensure their ships offer unrivalled experiences, so they have also become more creative in devising itineraries to suit all tastes and budgets. And 2014 is no exception as we are seeing more growth than ever before in the number of themed cruises. These cruises cater for the tastes – sometimes quite literally – of people with many different interests and hobbies, and provide a new twist to a cruise holiday. From food and wine to music, arts, dance and much more, these cruises are attracting passengers in greater numbers every year. 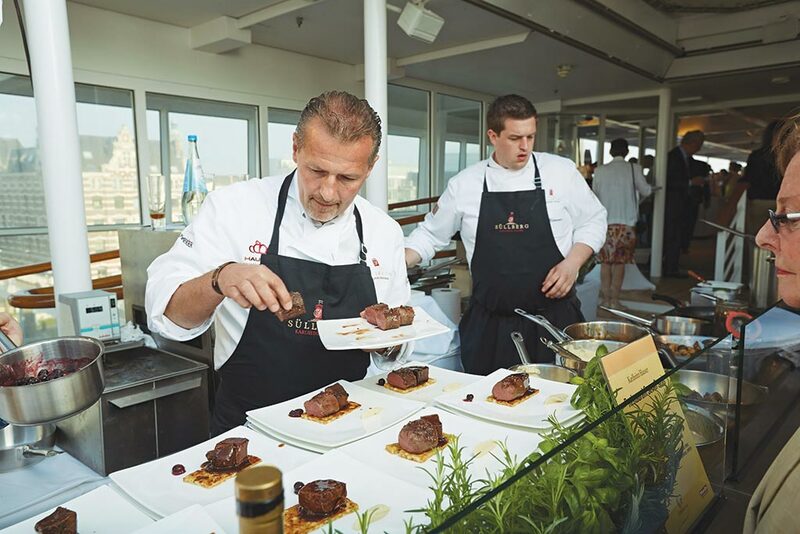 The food and wine on today’s ships goes from strength to strength and rivals many a five-star hotel, but a number of lines have gone even further and offer themed cruises to tantalise the taste buds. On the River Danube in April, AmaWaterways is offering a Chocolate Connoisseurs Cruise that explores the art of chocolate making via private demonstrations and tastings, chocolate-themed shore excursions, educational seminars on chocolate and a chocolate mini-buffet. Whilst at sea in June, Hapag-Lloyd will host its Treasures of Western Europe cruise on the Europa. Guests will be able to sample fine Bordeaux wines at local vineyards and freshly caught fish on the coast, while they are feted onboard by famous chefs, winegrowers, cheese makers and pastry chefs. It’s not all about food though. For those who want to “keeeeeep dancing” after the end of the latest series, P&O Cruises has its Strictly Come Dancing cruises. Judge Craig Revel Horwood and a host of professional dancers from the series will join four cruises this year, bringing all the glamour to the dance floor on board. There are cruises for art lovers, too. Crystal Cruises’ Gladiators and Empire itinerary features an overnight in Venice, with visits to museums and galleries in Rome and Florence, plus art tuition on board. With this year marking the 100th anniversary of the start of World War I and the 70th anniversary of D-Day, many ocean and river cruise lines are also offering cruises that take in the battlefields, war monuments, landing beaches and much more. It’s an amazing choice. And this is just a small selection of the huge array of themed cruises on offer. With so many, there’s sure to be one to suit you.